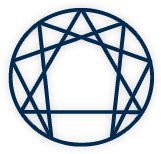 The vision of the International Enneagram Association (IEA) is to be the hub of a vibrant international Enneagram community. Part of its mission is to sponsor open and constructive interaction among various schools of Enneagram thought. This would be the 21st century virtual version of 14th century Samarkand, the site of a great East-West trade route and a melting pot of cultures and ideas where Bennett (1973) believed the Enneagram emerged. With the intention of stimulating further dialogue and syntheses, this essay criss-crosses the theories of various Enneagram authors about how Karen Horney’s description of three interpersonal trends might relate to the nine Enneagram styles. Karen Horney (1885-1952) is counted among the neo-psychoanalytic theorists who, along with Erik Erickson, Erich Fromm and others, complemented the traditional psychoanalytic biological orientation with an emphasis on culture and interpersonal relationships. Horney thought that basic anxiety brought about by insecurities in childhood were more fundamental in character development than conflicts between instincts and society or intrapsychic conflicts among the id, ego, and superego. Children develop ways of coping along three dimensions: a child can move toward people (compliance), against them (aggression), or away from them (withdrawal). And conflicts, dear to the hearts of all psychoanalytic practitioners, can arise among these three tendencies. Horney writes about these three interpersonal trends in two of her books: Our Inner Conflicts (1945) and Neurosis and Human Growth (1950). These three maneuvers or gambits are complex human versions of the basic mechanisms of defense in the animal kingdom: submission, fight, and flight. Perhaps this instinctual-social basis is what makes these trends so universal. All three trends are available to us and healthy persons are able to move in any of these directions when needed. What usually happens, though, is that we become comfortable and used to one of the trends and so the other two become less accessible. Try, for example, to hit someone as you are moving to embrace them, or to move away from and reach out to them at the same time. It’s also difficult to caress someone while you are punching them. Start moving backward and, while doing so, try hugging or slugging them. Not an easy negotiation. As with the Enneagram styles or the old Greek notion of hamartia, we can exaggerate a good thing or miss the mark. At the core of each trend is a healthy striving to cooperate with others, to assertively set boundaries, and to step back to be with ourselves in solitude. When we overdo these maneuvers, or when they become defensive and reactive instead of proactive, we become compliant (the self-effacing solution), aggressive (the self-expansive solution), and detached (the resignation solution). Just as there is a high and low side to the Enneagram styles, so there is a healthy to distorted continuum with these three trends. As far as I know Karen Horney never met the Enneagram. However the Enneagram has been introduced to Karen Horney through Claudio Naranjo (Maitri, 2000) who used some of her constructs, such as the “idealized self-image”, to conceptualize the structure of the Enneagram styles. Several Enneagram authors have also noted the similarities between Horney’s three trends and the nine types. In their book The Enneagram: a Journey of Self Discovery (1984) Maria Beesing, Bob Nogosek, and Pat O’Leary group the Enneagram styles according to Dependent Types (2,6,7), Aggressive Types (8,3,1), and Withdrawing Types (5,9,4). They draw from the class notes of Tad Dunne (one of the early students of Bob Ochs, S.J.) who theorized that “the nine different kinds of ego consciousness in the Enneagram result from the intersecting of three distinct self concepts and three distinct preferred modes of behavior” (1984, p.100). To paraphrase Beesing, Nogosek, and O’Leary, the aggressive types (8,3,1) have the preferred mode of behavior of moving against people as a defense strategy to protect the self and one’s worth as a person. Since Eights believe they are bigger than the world, they move with an instinct of power against people. Because Threes think they must adjust to the world, their aggressive behavior is channeled into achievement. Ones express their aggressive behavior by being critical of themselves and their surroundings. The dependent types (2,6,7) have a preferred behavior of moving toward people. They defend their self worth by becoming dependent on others through relationships. Since Twos have a self concept of being bigger than the world, they take the initiative in forming relationships. Since Sixes have a self concept that they must adjust to the world in order to be worthwhile, they place great importance on conforming to standards and laws already laid down. Sevens grew up feeling smaller than the world. For them to feel alive their environment needs to be full of good times and good cheer. The withdrawing types (5,9,4) have a preferred behavior of moving away from people to enhance their sense of personal worth. Since Fives grew up with a self concept of being bigger than the world, their withdrawal from people has as its purpose to become an intellectual overseer of everything. Nines withdraw from the world to adjust to it because it does not offer much to them in appreciation or love. Because Fours have grown up thinking they are smaller than the world, they express their withdrawing behavior by feeling misunderstood and by rehearsing how to express themselves with originality and authenticity. Tad Dunne further theorizes that ego consciousness is characterized by a false sense of reality, what life is really about. Those whose ego consciousness says “I am bigger than life” (8,2,5) see real life as in the “inner order,” as centered on themselves. Those saying “I must adjust to the world” (2,6,7) see real life as a harmony or integration between themselves and the outer world. Those saying “I am smaller than the world” see real life, or fulfillment, as centered outside themselves. To see how this dimension gets played out in the offensive, acceptive, and defensive types, read Chapter Three in The Enneagram: a Journey of Self Discovery (1984). Jerry Wagner, in his Enneagram Spectrum Training and Certification course, places Horney’s three trends around the Enneagram circle in this same configuration, but theorizes from the inner dynamics or movements among the Enneagram types. The Enneagram indicates options for movement. For example, we can approach a situation from our own point of view, from our security point of view (the style going against the direction of the arrow), or from our stress point of view (the style going with the direction of the arrow). When we have one option, we’re stuck; when we have two options, we have a dilemma; when we have three options, we have a choice. According to the Enneagram, we have a natural connection to these three points and so choices are available to us. And with choice comes the possibility of change. Unfortunately change can be for better or for worse. So it is possible to shift to the high or low side of any Enneagram style (Wagner, 1996) and it is possible to move towards, against, or away from people and situations in a healthy or compulsive manner, depending on whether we aim for the high side of each style or miss the mark and hit the low side. This arrangement gives each Enneagram style access to Horney’s three trends through its core, security, and stress points. The Ones’ paradigm and style inclines them to move against people. On their high side, Ones have an idealistic vision of how people and situations could be and they desire to move reality from where it is to where it has the potential to be. Ones move against the status quo, the present state, to raise it to a status meliore, a better state. On their downside Ones can react angrily and resentfully when reality falls short of perfection. They are quick to spot flaws, criticize, and fix things up. Their defense mechanism is reaction formation, doing the opposite of what they are desirous of doing. For example, when they feel like resting, they recall how much more they have to improve and push on. When Ones shift to their relaxed or peak performance space Seven, they move towards people in an accepting, affirming, optimistic manner. They embrace reality as it is, allowing the chaff to grow up with the wheat. If they shift to the downside of the Seven style, they move towards pleasure and avoid pain, sometimes getting caught up in addictive behaviors. Or they appear overly friendly when reaction formation disguises their underlying anger and criticalness. When Ones shift to their stress point Four, they move away from people in an adaptive manner which allows them to reflect on their own feelings and desires vs getting caught up in fixing other people’s faults. In stepping back they can attend to their own inner journey while being present to others’ suffering without having to intervene. When Ones move away from others in a non-adaptive manner, they withdraw because they feel depressed at being flawed and misunderstood, or not appreciated for all they have attempted. The Twos’ paradigm and style leads them to move towards other people and situations. They value relationship, connection, support, building up. Their natural tendency is to affirm, embrace, and approve. If they over do this tendency, they may become cloying, co-dependent, and crippling, ironically, the opposite of what their best self intends. They become overly solicitous and flattering. When Twos shift to their peak performance point Four, they move away from people, stepping back to allow others to stand on their own two feet. They also move inward to discover and develop their own creative sources and affirm their own agenda. When they shift to the downside of the Four, they move away from others because they feel hurt, misunderstood and underappreciated or because they feel special and priviledged because of all they have done for others. When Twos shift to their stress point Eight, they move against others, setting boundaries and limits, expressing their own needs, and making requests of others. They are clear about who they are and what they are responsible for and challenge others to accept responsibility for themselves. When Twos overshoot the mark, they move against others in an aggressive rather than an assertive manner, imposing their services on others, becoming critical and domineering. They may fantasize or seek revenge for feeling used and taken advantage of. Or they might push others away, claiming they don’t need them. The Threes’ paradigm and style contains characteristics of moving against. Threes are competitive, proactive, go-getters. They get things done by aggressively working towards their goals. They tackle problems and overcome obstacles with gusto. On their downside, Threes can get caught up in Type-A behavior where they over-work themselves and their team, raising the bar of competition along with their blood pressure. When Threes shift to their peak performance point Six, they move towards others and are as loyal and committed to people as they are to projects. They move past roles and personas and connect their real self with others’ selves. When they move to the downside of Six, they become overly obedient to management or authority or lose themselves in the project team. They become the “organizational person” instead of an organized person. When Threes shift to their stress point Nine, they move away from the situation. By slowing down and stepping back, they create room for their feelings and preferences to expand. They are more at peace and less driven. They give themselves the opportunity to be as well as do. When Threes shift to the downside of Nine, they grind to a halt and quit, resigning themselves to whatever happens. They move away from conflict and confrontation, neglecting themselves and what needs to be done. The Fours’ paradigm and style naturally moves them away from the action. Their attention moves inward towards their subjective responses to objective happenings. They reflect on their feelings and impressions of reality. If they move too far back, they may stand aloof from others for fear they will be misunderstood. Or their interest in their subjective impressions supercedes their allegiance to outer reality. Their fantasies compensate for their disappointing contact with others. When Fours shift to their peak performance point One, they move against the world, recognizing what needs to be done and assertively taking action. They become focused, persistent, dogged in their pursuit of what is right. If they go too much against others, they may become critical, overly righteous about their opinions and judgments, and arrogant in their idealism. When Fours shift to their stress point Two, they move towards others with empathy and genuine compassion. They transcend themselves and connect with others. Their giving flows from a sense of inner fullness and creativity. When they go too far towards others, they become overly involved and lose their boundaries. They give in order to receive affirmation and approval. The Five’s paradigm and style naturally inclines them to move away from people. They step back from the situation to take in the whole picture. Their sense of detachment lets things be. They prefer solitude, contemplative silence, and sacred space. When Fives move too far back, they can be distant and aloof. They step out of the game to be safe, then forget to step back in. They can become silent loners who are overly protective of their private space. When Fives shift to their peak performance point Eight, they move against people with assertive self-assurance and confidence. They apply their knowledge instead of storing it up. They disclose rather than conceal themselves. They say what they want and actively work towards their goals. When Fives swing past assertion into aggression, they express their anger in a clumsy, sometimes contemptuous way, putting others down or being cruel instead of confrontive. When Fives shift to their stress point Seven, they move towards people. They are gregarious, friendly, humorous, up-beat and out-there (in their Fivish way). They engage with others instead of disengaging. When Fives miss the mark and go to the downside of Seven, they seek pleasure and avoid pain. They would rather have fun than get something done (Eight). They avoid confrontation or anything that might provoke anger by smoothing things over or treating the situation lightly. The Sixes’ paradigm and style leads them to move towards others. They are gracious hosts and hostesses. There is a nurturing protecting manner to Sixes’ loyalty and bonding. When Sixes overdo this trend, they can become overly fawning or conciliative. They want to appear friendly and non-threatening so others won’t feel afraid of them or need to attack them. They want to be close to and on the side of authority. When Sixes’ shift to their peak performance point Nine, they move away from the situation. They step back and say “So what!” instead of being caught up in their fears which ask “What if?” They are relaxed and tolerant and trust that events will work out. When they miss the mark and go to the downside of the Nine style, they avoid conflict and move too far away from the fray. They detach and ruminate and doubt. When Sixes shift to their stress point Three, they move against the world. They express their agenda and take action to bring it about. They get organized, proactive and own their assertive energy instead of projecting their anger onto others and then experiencing the world as a hostile and dangerous place to live in. When Sixes miss the mark and go to the downside of the Three style, they become busy instead of efficient and productive. They are aggressive in the pursuit and defense of their beliefs and become ruthless adversaries instead of ecumenical neighbors (Nines). The Sevens’ paradigm and style naturally moves them towards others. Sevens are sociable and gregarious and enjoy being with people. They want to cheer people up and show others a good time. When they miss the mark and overdo their moving towards, they want all their encounters to be nice. They don’t want any discomfort and don’t want to be alone or bored. When Sevens shift to their peak performance point Five, they move away from others. In solitude and contemplation, they make their own what they have been ingesting. They practice what self psychology calls transmuting internalization. They internalize and do for themselves what their external environment has been doing for them. Sevens can detach vs greedily gobbling up the goodies around them. When they move too far back, Sevens can get overly intellectual and distanced from their feelings and bodily-felt responses. They become remote instead of reflective. When Sevens shift to their stress point One, they move against the situation. They discriminate, critique, and chew on what they are offered rather than swallowing everything whole in a gluttonous way. Their idealism keeps them actively engaged in their endeavors even though the work may become painful. When Sevens move too far into aggression, they become overly critical and angry that their fun-filled plans aren’t working out. Their anger seeps out as sarcasm or contempt or they might become piqued that they’re not getting what they want when they want it. The Eights’ paradigm and style naturally leads them to move against people. Anger is the emotion that surfaces in them most readily. They challenge and confront the situation rather than back down from it. They speak their mind and make their wishes known. If they don’t like what’s happening, they do something about it. When Eights move beyond assertion to aggression, they can become intimidating and bullying. They get their way at others’ expense and can become vengeful and vindictive. When Eights shift to their peak performance point Two, they move towards others with compassion, understanding, and empathy. They use their energy to build others up instead of wear them down. They approach others with tenderness, grace, and charm. When Eights exaggerate their moving towards tendency and go to the downside of the Two, they may make others dependent on them so they will be beholden to them. They manipulate others’ weaknesses, using their strength to attach people to themselves. When Eights shift to their stress point Five, they move away from others. Moving to the high side of the Five, they are able to reflect before they act. The put a little lag between their impulse and its expression. They look before they leap. They are open to what is instead of approaching situations with biases and preconceptions. When Eights shift to the downside of Five, they become too detached from their feelings and from others. They can become cruel and unsympathetic. Or they can turn their strength against themselves, punishing themselves and withdrawing if they think they’ve been unjust. The Nines’ paradigm and style leads them to move away from a situation. They allow things to happen and events to unfold at their own pace. Nines have a laissez-faire, hands-off stance towards the world. If it isn’t broke, don’t fix it. When Nines overdo their moving away from tendency, they avoid conflict and confrontation and hope that benign neglect will solve their problems. They become too removed from the situation, put off doing what needs to be done, and conceal their real intentions – often even from themselves. When Nines shift to their peak performance point Three, they move against the situation in a problem-focused, energetic, let’s-get-it-done fashion. They attack their problems rather than ignore them or lull them to sleep. They assertively express and work for what they want. When Nines overshoot the mark, they become overly busy and even compulsive. Their anger gets distracted into busy behavior or repetitious routines. They play competitive sports while their business plan lies dormant on their desk. When Nines shift to their stress point Six, they move towards others. Their loyalty and commitment to others may get them moving, doing for others what they might never do for themselves. They find the courage to support themselves and their agenda. When Nines overshoot the mark and shift to the downside of Six, they become overly concerned about what others’ think. They want to get others on their side even if it means selling out on themselves. They side with external authority which may move them farther away from their inner authority and guide. They lose themselves in relationships and teams. 1. What would it look like if I approached, embraced, or leaned into the problem or situation? How can I close the gap? 2. What would it look like if I attacked, confronted, or challenged the problem or situation? How can I clear away the obstacles? 3. What would it look like if I stepped back or away from the problem or situation? How can I get some distance? Thomas Chou wrote an article “A Directional Theory of the Enneagram” in the January 2000 issue of the Enneagram Monthly where he described the surface and deep directions or motivations for the Enneagram types. He, too, follows the layout proposed by Dunne, Beesing-O’Leary-Nogosek, and Wagner, but takes the dialogue between Horney and the Enneagram a layer deeper. For Chou, Horney’s surface triad “does not describe the end goals of each type, but rather the tactics used to reach the end goals.” The deep triad operates over a longer time frame and these deeper desires are more hidden in the subconscious. On the surface the aggressive types (8,1,3) are prone to the negative emotions of anger and competition which move against others. They pursue their long-term goals by directly changing the environment. The compliant types (2,7,6) are prone to the positive emotions of affection and appreciation which move toward others. Instead of pursuing their goals by confronting obstacles, they adapt to obstacles. The withdrawn types (5,4,9) are prone to internalizing their emotions, whether positive or negative, thus keeping them away from others. They pursue their goals independently by minimizing direct interactions and finding the path of least resistance. The One’s compulsion moves against others on the surface, but away from others underneath. While Ones may seem outwardly efficient and engaged, underneath they are thinking more about some ideal world that they are trying to create in the long term. The Two’s compulsion moves toward others on the surface, but against them underneath. Twos can be warm, helpful, and seductive on the outside, while harboring a hidden agenda and a strong will. They claim to be helping others while denying the aggressive motives underneath. The Three’s surface compulsion moves against people, while the underlying compulsion moves toward people. Threes seem pushy and competitive, while underneath they want the approval of others. They claim to be bold leaders while denying the deeper compulsion to follow the leadership of others. The Four’s surface and deep compulsions both move away from others. This makes Fours the most introspective and individualistic type. They are free from real-world constraints but also can be self-absorbed and alienated. The Five moves away from others on the surface, but against others underneath where they are not as detached as they seem. Their strong will leads them to want to be in control. Fives take ownership of the mental sphere. The Six’s surface and deep compulsions both move toward others, making Sixes dependent on a stable external support. Wanting to trust the world, Sixes find the world treacherous and so develop defense techniques, such as skeptical thinking, seeking safety in groups, etc., against their own trusting nature. The Seven embraces the world on the surface, but moves away from it underneath. While the Seven seems focused on enjoying the real world, their mind is actually attending to a fantasy of how things could be even better. The Eight moves against others in both their surface and deep compulsions, making them the most aggressive type. Their will power, self-reliance, and possessive tendencies are evident to others. Their world of influence tends to be physical and worldly. Their doubly aggressive compulsion enables them to rise above obstacles to acquire a heroic stature. The Nine moves away from others on the surface, but toward others underneath. Nines are caught in the conflict of wanting to detach from others while wanting to identify with them in the long term. They withdraw in non-threatening ways to allow themselves to reconnect later. On this deeper level, Twos, Fives, and Eights are “power seekers” who move against others seeking a sense of control. When healthy, they empower others. Sevens, Fours, and Ones are “inspiration seekers” who move away from others to pursue their higher aspirations. When healthy, they inspire others. Threes, Sixes, and Nines are “approval seekers” who move toward others seeking to belong to the world. When healthy, they are approving. With these modifications of Horney’s theory, Riso and Hudson arrange her three trends according to the Enneagram’s feeling, thinking, and instinctive triads. Each triad is composed of an aggressive type, a compliant type, and a withdrawn type. Twos are compliant to the superego’s dictate to be always selfless and loving. Threes are aggressive in the pursuit of their goals and in their competition with others. Fours are withdrawn to protect their feelings and their fragile self-image. Fives are withdrawn, away from action, into the world of thought. Sixes are compliant to the superego dictate to do what is expected of them. Sevens are aggressive about engaging the environment and satisfying their appetites. Eights are aggressive in asserting themselves against others and the environment. Nines are withdrawn so that others will not disturb their inner peacefulness. Ones are compliant to the ideals after which they strive. Riso and Hudson find some intimations of the Enneagram styles in Horney’s clinical observations. In her descriptions of the aggressive types, she writes about the narcissistic, perfectionistic, and arrogant-vindictive types which would correspond to the Enneagram Three, Eight, and One. Riso and Hudson disagree with Horney’s listing the perfectionistic type as aggressive. They see see the perfectionistic type as complying with its superego rather than aggrandizing its ego. They don’t think Horney worked out the variations of the complying types, those who move towards others. They find elements of the Two, Six, and Nine in her descriptions, but think the Nine is a more withdrawing type. Within the withdrawing group, those who move away from people, Horney discusses the persistently resigned (Nine), the rebellious (Five), and the shallow-living (Four) types. In their book What’s My Type? (1991), Kathy Hurley and Ted Donson consider Horney’s three trends as “three different ways to approach life’s problems: by seeking expansive solutions in an aggressive way, by seeking temperate solutions in a dependent way, and by seeking enlightented solutions in a withdrawing way.” (1991, p. 80). For Hurley and Donson, the aggressive numbers in the Enneagram are the Three, Seven, and Eight, whose goal is to restructure the world, to effect change. The outer world is their arena of competence because they know how to get things done. They set the rules and expect people and circumstances to fall in line. The aggressive stance makes Threes energetic project-oriented people, gives Sevens the energy to remain in constant motion as well as the evasive stubborness to get what they want out of life, and focuses Eights on accomplishment. The dependent numbers in the Enneagram are the Two, Six, and One. They are socially oriented people who feel, think, and act in relationship to others. They seek temperate solutions to life’s difficulties and make sure they process the reactions of people around them. They want to be thanked, reassured, and liked. The dependent stance allows Twos to look to other people’s reactions before determining their own response, increases the Sixes’ indecisiveness because they wait and see how others respond before they can decide what to do, and lets the world set the Ones’ agenda while Ones set the standards for how they will fulfill that agenda. The withdrawing numbers in the Enneagram are the Four, Five, and Nine. They are overprotective of themselves, seeking to be independent and to discover enlightened solutions to life’s problems. Wary of others, they rely on their own inner strength. They consider themselves to be the final judge in all matters that concern them. The withdrawing stance has Fours look within themselves for what they value in life, moves Fives deep inside where they find the strength to carry them through life, and causes Nines to retreat within themselves to slumber in peace and inner tranquility. The Attachers, whose attention is outer-directed and who move toward people, make sense of, and operate in the world, through connection to people and relationships. Attachers live in an emotional environment. They want to know where they stand emotionally in relation to others. Their dominant issue is approval. They are motivated by how they feel about themselves, the feelings of others, and how they come across to others. Levine places Enneagram types Two, Three, and Four in this category. The attention of Detachers is inner-directed and they move away from people. They make sense of, and operate in, the world from inside their head. The mental context is the Detachers’ environment. Making sense of the world through mental processes and activities are their central preoccupations. Their mental activities include imagining, conceptualizing, fantasizing, analyzing, and synthesizing. They generate ideas, question ideas, and connect ideas. Points Five, Six, and Seven belong here. Levine describes the Defenders as having self-protective attention. They move (brush up) against people. They make sense of, and operate in, the world with an awareness of intrapersonal space and boundaries. The Defenders’ environment is a body-based context. Their mode of being is instinctual. They are aware of the boundaries around themselves and want to establish their space. Operating out of gut feelings, they make their presence felt and establish their boundaries by being confrontational and combative, stubborn and passive-aggressive, or critical and judgmental. Points Eight, Nine, and One are found here. This has been a sampling of some authors about how Karen Horney’s three trends might correlate with the Enneagram styles. It’s meant to be illustrative, not exhaustive. Where do we go from here? More theories? While you certainly can never have enough paradigms, sooner or later hypotheses need to be checked against some evidence. Empiricism raises its scientific head. There is an inventory, the Horney-Coolidge Type Indicator, designed by Frederick Coolidge, Ph.D. to measure Horney’s three types of people. It is a 57 item, three scale inventory, measured on a Likert scale ranging from hardly ever to nearly always fits me. It was normed on 630 people, 315 females and 315 males, with a median age of 21, ranging from 16 to 93 years. The internal scale reliabilities (alpha) and test-retest reliabilities range from .78 to .92, which is quite acceptable. Only a few validity studies are reported in the brief manual. A factor analysis of the three scales revealed a three factor solution in each of the scales. The Compliant Type scale showed factors of altruism, need for relationships, and self-abasement. The Aggessive Type scale revealed factors of malevolence, power, and strength. And the Detachment Type scale produced the factors of need for aloneness, avoidance, and self-sufficiency. Dr. Coolidge is very generously granting permission to duplicate his test for research purposes. He teaches in the psychology department of the University of Colorado and can be contacted at fcoolidg@mail.uccs.edu or at (719) 262-4146. I haven’t used his instrument, yet, but having looked over the items, my reservation would be that his Compliant scale measures Twos, the Aggressive scale measures Eights, and the Detachment scale measures Fives, which are the Enneagram types that most clearly correspond to Horney’s three trends in the first place. I wonder whether the other six Enneagram types would as surely endorse any of these trends as measured by this inventory. Nonetheless it’s a start down the yellow brick road of research. Perhaps the Enneagram community would like to participate in a research study that would extend across the various schools by taking the Horney-Coolidge Type Indicator, sending in the results of the inventory along with one’s Enneagram type and strength of conviction about one’s type to some hub where they can be collated and then disseminated back to the community. The central office of the IEA might be such a location or the Enneagram Monthly has expressed interest in coordinating research projects. Such a venture would be another venue besides international conferences for actualizing the vision and mission of the IEA. Send your comments or suggestions to Jerry Wagner at jwagner@luc.edu. Beesing, Maria, Nogosek, R., O’Leary, P. The Enneagram: a journey to self discovery. Denville, N.J.: Dimension Books, 1984. Bennett, J.G. Gurdjieff: making a new world. New York: Harper and Row, Colophon Books, 1973. Chou, Thomas. “A directional theory of the Enneagram. Enneagram Monthly (57), January 2000. Coolidge, Frederick. Horney-Coolidge Type Indicator. Psychology Dept., P.O. Box 7150, University of Colorado, Colorado Springs, CO 80933-7150. Horney, Karen. Our inner conflicts. New York: W.W. Norton & Co., 1945. Neurosis and human growth. New York: W.W. Norton & Co., 1950. Hurley, Kathleen, & Donson, T. What’s my type? San Francisco: HarperSanFrancisco, 1991. Levine, Janet. The Enneagram intelligences. Westport, CT: Bergin & Garvey, 1999. Maitri, Susan. The Spiritual dimension of the enneagram. New York: Tarcher/Putnam, 2000. Riso, Don, & Hudson, R. Personality types. New York: Houghton Mifflin, 1987, 1996. Wagner, Jerome. The Enneagram spectrum of personality styles: an introductory guide. Portland: Metamorphous Press, 1996.